First published in the Proceedings of the Altshuller Institute TRIZCON 2000, May, 2000. 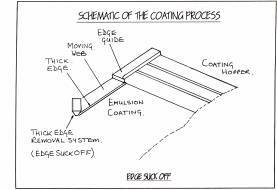 This process requires the cascade/ hopper to be positioned extremely accurately and very close to the substrate to be coated so that the liquid can pass down the inclined slide and pass across the coating gap fig1. 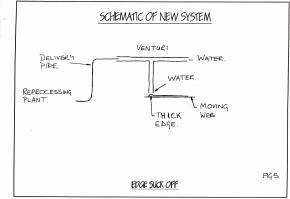 A system was designed to remove the thick edge of emulsion from the surface of the moving web. 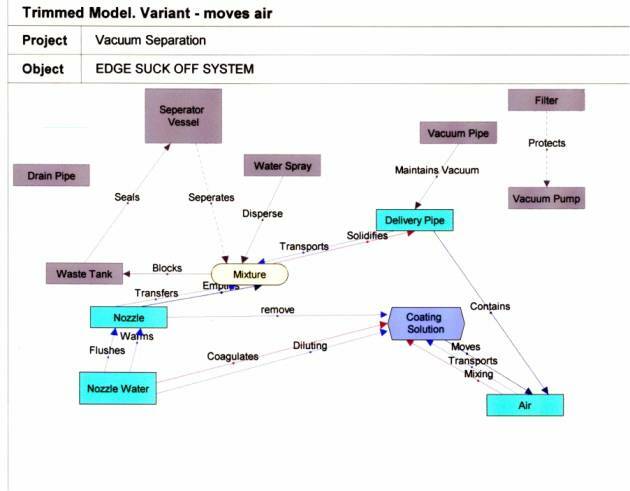 This consisted initially a vacuum pump, a separator vessel, a waste tank, a delivery pipe and a nozzle fig 2. In the first instance the vacuum pump became blocked by emulsion which did considerable damage. To overcome this problem a filter was placed between the separator vessel and the vacuum pump but although there was some improvement after a period of time the vacuum pump again became blocked. At this time a spray was added into the top of the separator vessel to try and stop the carry over from the separator vessel into the vacuum pump. Introduction of TRIZ and Techoptimiser to Ilford Imaging. This was followed by a two day training course for eight people and after that I set up a weekly lunch time session for that group to meet and not only solve problems but also to educate ourselves in the tools of TRIZ. 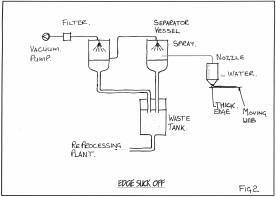 1 Improve separation of the emulsion within the vessel to stop the emulsion getting past the filter and into the vacuum pump. 2 A method to stop the mixture clogging the delivery pipe needed to be found. 3 At this point there was still much discussion within the group about solving the problem without having analysed the situation properly. 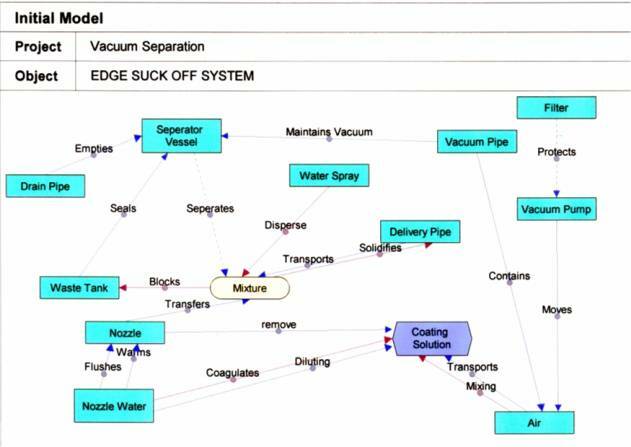 2 How to get the emulsion off the moving web and into the delivery pipe with just the available resources.